Over 200 members of the House of Representatives have taken delivery of brand new exotic cars, though all 360 lawmakers have yet to receive their July salaries. The PUNCH learnt that the non-payment of their salaries and other benefits had left most of the members without enough funds in the last one week. Namdas stated that by the plan of the House, all 360 lawmakers would have taken delivery of their cars by December 31. Each of the vehicles cost N17m and will consume a total of N6.1bn to supply all 360 units. Namdas spoke further, “Over 200 have been supplied out of 360 and we are still getting more. “Every member will get a car by the end of this year. The issue is that the payment and supply of the vehicle is being done in instalments. “The House and the company (Peugeot Automobile Nigeria Limited) agreed to this arrangement of paying and supplying in instalments. The PUNCH had reported exclusively on July 1 that contracts for the automobiles were awarded late 2015. However, owing to delivery delays and insufficient budgetary releases to the House, the majority of lawmakers were unable to get their cars in close to two years. About 223 of the 360 members were “freshers,” who first came to the National Assembly in 2015. The new members are said to be most pained as they have had to fuel personal cars for work since June, 2015. Findings indicated that the delayed supply had led to grumbling by the members, who sought explanations from the Speaker, Mr. Yakubu Dogara, on why only 175 members could get their vehicles in two years. At a meeting before proceeding on recess on July 27, lawmakers had reportedly put Dogara on the spot by demanding the sacking of the Chairman, Committee on House Services, Mr. Nasiru Baballe-Ila. Baballe-Ila’s offence was that he “practically forced” the House to go for Peugeot 508 as against the Toyota Land Cruiser Prado or Camry, which the majority of lawmakers preferred. Asked to comment more on the issue, Namdas said part of the problem was funding challenges. For example, he said some funding for the cars was included in the 2017 budget. “You know that we have not started the implementation of the 2017 budget fully. “You will appreciate the fact that payment for these cars will come from the budget. So, that issue too is there,” he added. The PUNCH gathered that the supply of the 200 cars still did not address the problem of the non-payment of lawmakers, who are without their July salaries. 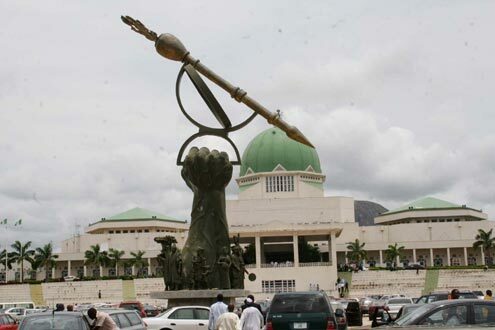 Lawmakers take a salaries of between N690,000 and N1.1m monthly, depending on how much deductions are made from a member’s pay to settle debts and other facilities. In addition, they receive a quarterly allocation of between N27.9m and N33m. But, a dip in flow of funds to the legislature in recent months and delays have led to cuts, affecting the pockets of the majority of members. Investigations revealed that most of the members had stayed back in Abuja, one week after the National Assembly adjourned for six weeks. They are said not to be in a hurry to visit their constituencies for now due to the cash crunch. One Peoples Democratic Party member from Edo State, Mr. Johnson Agbonayinma, and a member of the All Progressives Congress from Kano State, Mr. Bashir Baballe, confirmed to The PUNCH that the lawmakers were owed salaries. Agbonayinma stated, “I don’t know what else to say. We are suffering. Nigerians are suffering. “The National Assembly is treated with levity; they don’t take our case seriously. “The people in the Ministry of Finance and the Central Bank, they tell you the same story every day. “If there is no money, are those in the Executive not running their services? That is why I have been praying that President Muhammadu Buhari should get well fast and return home.